The last thing a pregnant woman expects or hopes for is to go into labor while in the air. For a woman on Delta Air Lines Flight 2566 from San Francisco to Minneapolis, however, her trip was cut short when contractions began in earnest. 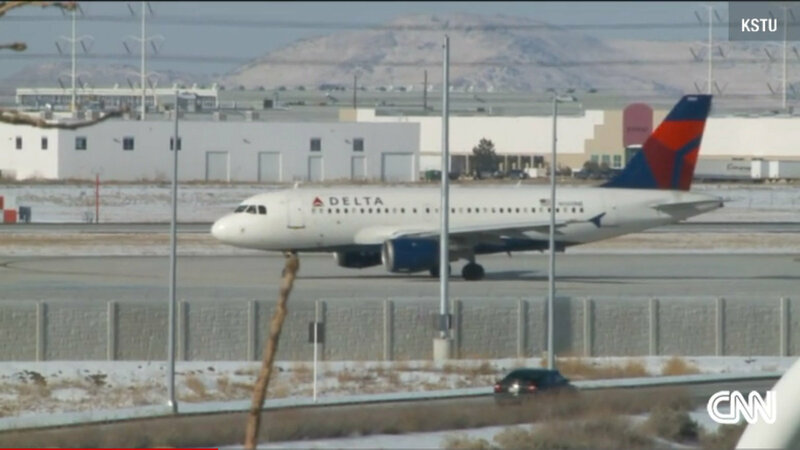 While it hasn't been reported how far along the woman was when the flight was diverted to Salt Lake City, she was rushed to a nearby hospital where doctors performed an emergency C-section. Happily, the mother and her newborn are said to be doing well. Every airline has its own policy when it comes to traveling while pregnant. Delta, for example, does not restrict pregnant passengers, but they do note that fees cannot be waived for pregnancy. They also suggest that pregnant women who plan to travel after their eighth month should consult with their care provider beforehand. I think this is a good idea for a few reasons — for one, you can't always predict premature labor. Also, there are complications that can pop up during flight for some pregnancies, and the altitude change can be a factor in certain cases. You also don't want to be in another location if you unexpectedly go into labor well before your due date, so going into labor on a plane isn't the only concern. It's good news, though, that the mother and baby are doing well.